Home / EngageOK Teachers: Conference is almost here! EngageOK Teachers: Conference is almost here! Join us for rich and meaningful professional development, including strategies for implementing new standards in English language arts, math, science, health and physical education at our free EngageOK education conferences in July. We’re taking EngageOK on the road this year to help reduce travel costs for you and your districts. 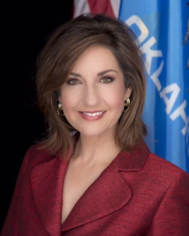 Each conference will open at 8 a.m. with a general session, followed by breakout sessions throughout the day until 3 p.m.
State Superintendent of Public Instruction Joy Hofmeister will be speaking at all six EngageOK on the Road conferences where she will take stock of where we have been, where we are and where we are going in Oklahoma public education. Through engagement, Oklahomans have changed the conversation about what education should look like. Join her as she talks about the next steps. 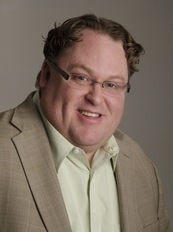 Christian Moore is an internationally renowned speaker, licensed clinical social worker and advocate for youth. He is the author of The Resilience Breakthrough: 27 Tools for Turning Adversity into Action, a guide for accessing resilience in a world of increasing instability and narrowing opportunity. He will be speaking in Edmond and Broken Arrow only. Moore developed the WhyTry Program, a multisensory approach to teach resilience to youth of every learning type. More than 2 million students have been taught with WhyTry in more than 18,000 schools, making it one of the fastest-growing programs of its kind. We are still finalizing the agenda for each of the six locations, but here is a sneak peek at some of the topics we will address. REGISTER. LEGISLATIVE UPDATE: This session looks at new bills passed that affect all areas of education, including instruction, curriculum, assessment, accountability, finance, personnel issues, teacher certification, school board policy, school site requirements and more. LOWER ELEMENTARY, UPPER ELEMENTARY, MIDDLE SCHOOL & HIGH SCHOOL MATH TASK FORCES: Join other teachers as you dig into the OAS. Experience first-hand what true mathematics looks like and create tasks to stimulate curiosity and create engagement in your classrooms. Bring your laptop and be ready to collaborate! OAS FOR ELEMENTARY & SECONDARY ELA: Join other teachers as they dig into OAS and OSDE curriculum resources. Provide feedback related to curriculum resources for standards implementation. ADAPTING SCIENCE CURRICULUM: Analyze strategies for adapting existing curriculum to meet the OAS for science. K-12 educators will walk away with tools they can easily use for the next school year. SCIENCE ASSESSMENT, MAKING THINKING VISIBLE: Explore classroom assessment strategies aligned to OAS for science. This session will be geared toward effective strategies for “informative assessments” that make student thinking visible. The session will also include an introduction to the statewide summative assessment structure for 5th grade, 8th grade and Biology I. ELEMENTARY CLASSROOM MANAGEMENT: Make this the best year ever by learning strategies to establish a positive classroom culture. Create a grade-level appropriate behavior system with your students. Gain practical classroom tips to make life in the classroom simple and allow you to minimize behavior problems and maximize learning. SECONDARY SCHOOL CLASSROOM MANAGEMENT FOR LEADERS: District and/or building leaders will learn about proven and practical processes, procedures and strategies that can build a culture of positive behavior and respect in secondary schools. CO-TEACHING & ALL ITS GLORY: Learn about the research, law and various models supporting successful implementation of co-teaching through modeling. Leave with teacher-friendly ideas, materials and ideas to implement and share. EQUITABLE ACCESS TO EXCELLENT EDUCATORS PLAN: Join the conversation as we report implementation efforts of the State Equity Plan and target district and site level equity planning. Hear guidance on school culture and professional development as it relates to school improvement. TITLE IX: Get guidance in meeting the federal requirements of Title IX, such as the assignment of district coordinators and administration of climate surveys. TLE UPDATE, MOVING FROM COMPLIANCE-DRIVEN TO PERFORMANCE-DRIVEN: Positive changes are heading our way in the TLE process. Learn about legislative changes, new supports and learning opportunities for educators, and how our evaluation process can become a helpful tool. SUICIDE PREVENTION: Districts will discuss policies and protocols for suicide prevention, intervention and postvention. Four districts will discuss their procedures for the safety of the school and students. CAREER ADVISING: How do we provide teachers, counselors and administrators the resources to develop student Individual Academic Plans for Career Pathways? Join us for sharing of ideas, resources and examples of career pathways for your students. FY17 BUDGET OVERVIEW: Learn about budget updates and have your questions ready for us! WHAT’S NEXT AFTER ESSA? Learn about the changes brought by the Every Student Succeeds Act across Federal Programs (Titles I A, I C, II A, III A, V, IX). We’ve received several questions about Continuing Education Units (CEUs) for Licensed Professional Counselors (LPCs) and Licensed Marriage and Family Therapists (LMFT) at EngageOK On the Road. We’re happy to announce that the conference will offer some sessions approved for those CEUs. Information will be added to the site soon. To register online and for more details as they become available, click here. On-site registration begins at 7 a.m. the day of the conference. Classroom dress preferred. Professional development certificates will be available inside the program at each site. To download a draft of the program (not final), click here. To watch a highlight video from 2015’s conference. click here. We hope to see you at EngageOK On the Road!